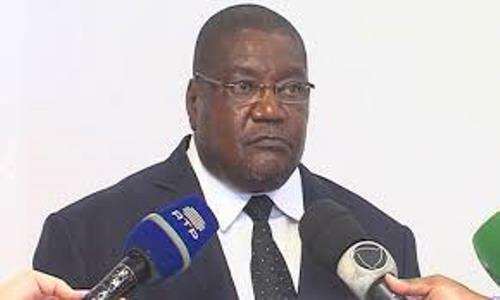 Mozambique's main opposition Renamo party at the party's congress elected General Ossufo Momade as the new Renamo leader. In Portuguese, RENAMO - the group’s initials, stand for Mozambique National Resistance. Held at the party's jungle base on the foot of the Gorongosa Mountains in Mozambique's central Sofala province, General Momade replaces Afonso Dhlakama, who died on May 3 last year after a short illness at his hideout in the Gorongosa Mountains, aged 65, without nominating a successor. Momade, a Renamo general, has been interim leader until the party congress which began on Tuesday. "The elected president of the largest opposition party, General Ossufo Momade, won 410 votes, followed by Elias Dhlakama, who got 238 votes and Manuel Bissopo 7," party spokesman Jose Manteigas told a media briefing early on Thursday in Gorongosa. Prior to that, Momade was the head of the Renamo defense and security department and a member of parliament. He was secretary general of the party between 2005 and 2012. Currently a lieutenant general, Ossufo Momade was born on the Island of Mozambique in Nampula in 1961. He joined the ranks of Renamo in 1978 after deserting the Popular Liberation Forces of Mozambique, where it had been incorporated in 1974. Dhlakama for 39 years kept a tight grip on Renamo, which waged a 16-year civil war against the formerly Marxist and Soviet-backed Frelimo rebel group, which took power when Mozambique gained independence from Portugal in 1975. The conflict ended in 1992 after killing an estimated one million people.